Now you can achieve much more in less time. Smoother workflows and faster speeds are just some of the great features that will help your business be more productive. Faster Processing - Improve your print, scan and copy speeds by taking advantage of up to 2.5 GB of upgradable memory, an 800 MHz dual-core processor and Gigabit Ethernet. Reliable Performance - Easily print up to 12,000 pages per month, plus enjoy fewer maintenance hassles, thanks to our state- of-the-art paper handling. Keep Jobs Moving - With a maximum input capacity of up to 2,000 sheets and an ultra high yield toner cartridge, you won't have to add paper or change cartridges as often. Get Work Done Quickly - Enjoy print speeds up to 45 pages per minute, plus print or copy your first page in as little as 6.5 seconds. Professional Results. No Training Required. Look sharp from the start. 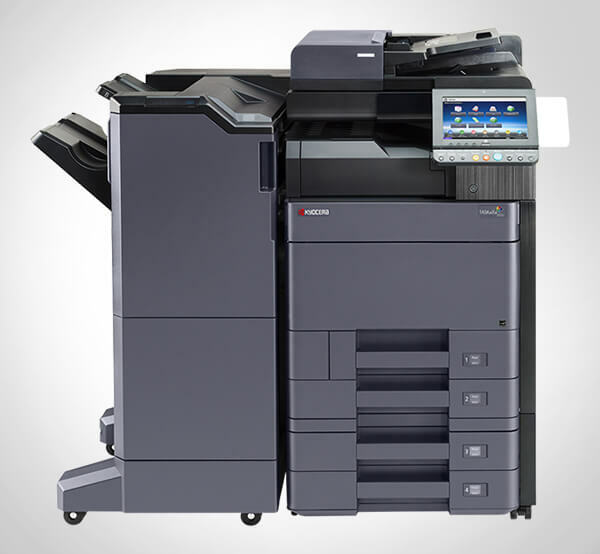 Our multifunction printer with its easy-to-use touch screen and impressive speed lets you power through any print job quickly. Smart and Easy to Use - A 4.3-inch color touch screen provides access to pre-installed productivity solutions. Front USB Port - Print without a PC using our convenient USB port that lets you walk up, preview and print PDFs and many other file formats. 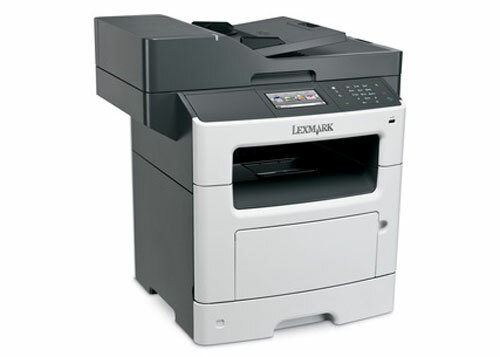 Innovative Toner that Optimizes Performance - Get greater system performance with Lexmark's Unison&treade; Toner, which delivers consistent image quality from first print to last. Solutions Capable for Smart Workflow. Our solutions-capable, eco-friendly device can simplify processes and help you quickly respond to changing business needs - giving you a competitive edge. Work Smarter not Harder - If you can use a mobile phone application, you can use our preloaded solutions. Touch the screen and access shortcuts that let you scan, print or send faxes, emails and other business-critical documents fast. Save Resources and the Planet - With preinstalled solutions like Eco-copy, as well as Forms and Favorites, you can print only the forms you need, saving toner, paper and the environment. Enjoy Enterprise-level Security - Now you can authenticate, authorize and audit employee usage - plus protect sensitive data using standard network security protocols.